42 roses, order today and we can deliver to you within 2-4 hours. 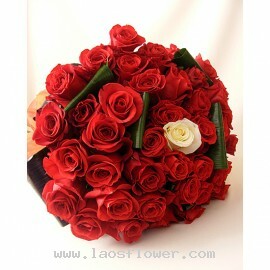 42 roses, order today and we can deliver to you within 2-4 hours by online florist in Laos. A vase of 42 assorted roses. 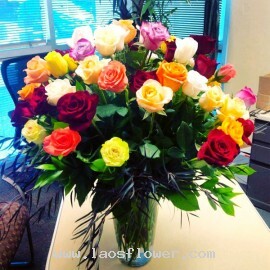 This colorful bouquet is perfect for sending as 42nd birthday gift or wedding anniversary gift. This will help you to brighten someone's day! * The color of roses can be changed as you want. Please inform the staffs. Occasionally, substitutions may be necessary to.. 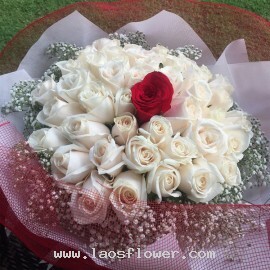 Bouquet of 42 roses, 41 red roses and 1 white rose in the middle. Wrapped in paper and tied with ribbon. You can choose the color of the roses. Occasionally, substitutions may be necessary to create your bouquet due to the availability of certain flowers in various parts of the country. Substitut..